Sometimes the word rustic can be a euphemism for a house that is unfinished or a bit rough around the edges. However, it is possible to achieve a rustic style home that is also polished and sophisticated as well. 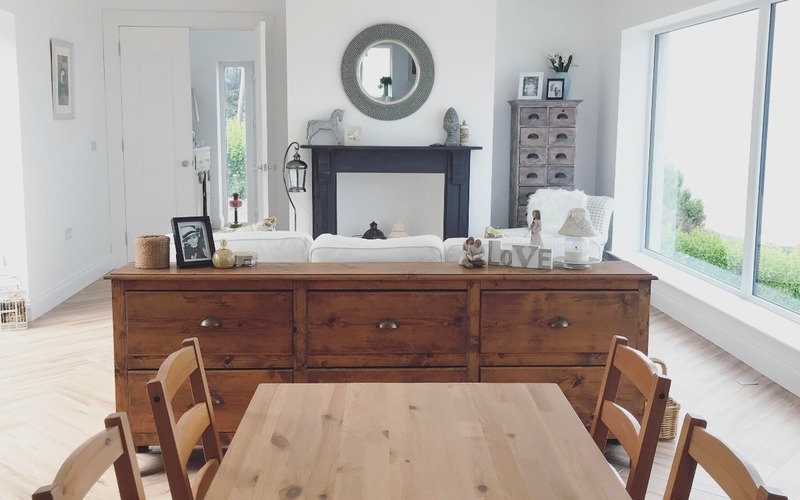 When planning the interiors for our new home, we wanted to get a rustic element as we were re-using a lot of old furniture from our old home, with some items dating back 100 years. We opted for a mix of modern and rustic for our home, but if you want to achieve a rustic feel for your home, here are a few things to consider. One way that you can create a sophisticated rustic look in your home easily is to ditch carpet. 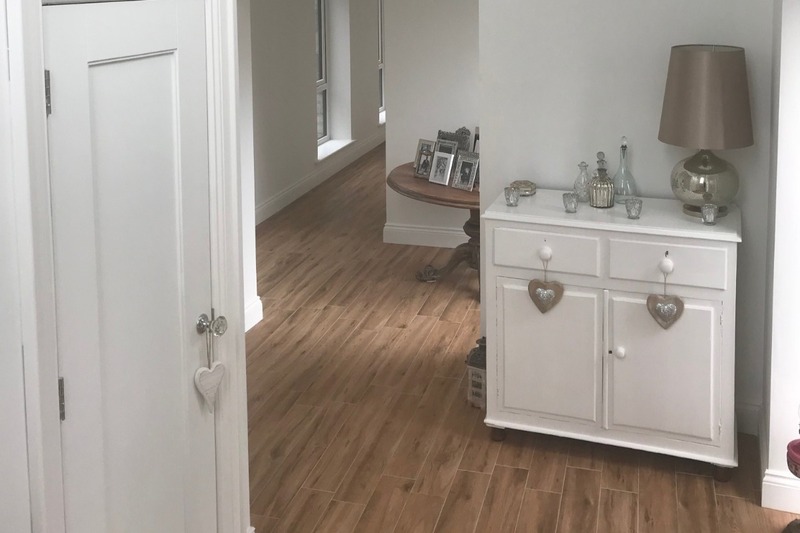 While we have carpet in some rooms, we opted for wooden flooring and tiled flooring with a wood effect to achieve a more rustic look for key rooms like our main living space and halls. After all, it loses its bounce quickly, is a nightmare to clean, and can at worst look a bit twee with a rustic setting. Flooring such as hardwood or even stone in neutral and warm colours can be a great look for the home. This can help to create that homely rustic vibe, while also ensuring things stay as sophisticated as possible. With the extra advantage, of course, that wooden and stone floors are much easier to keep clean, especially when you have a little one that hasn’t quite mastered the art of drinking from a cup without spilling it everywhere as well (something we are becoming all too familiar with)! Another guidance point that follows from this is the use of natural materials all through your home design and not just on the floors. After all, it’s pretty hard to get a genuine and classy rustic look when you have plastic everywhere. To that end investing in things like wooden furniture, and even timber windows is a fantastic choice (this was something we had in our old home and it became a real feature of the home). Having some timber features in your home can really help you achieve that rustic look. We’ve included lots of vintage wooden furniture in our home to provide a rustic, yet modern feel to the home. Having also restored some furniture items back to their natural self, there’s something rewarding when you see your hard work reflected in nice furniture features for the home. In this type of home design, it should be the rustic and natural features that stand out, and for this to happen you will need to ensure that the finishes in your home are as high quality as possible. What this means is that your walls are skimmed and painted in neutral colours with high skirting boards, and features such as your bathroom and kitchen cabinets are good quality. 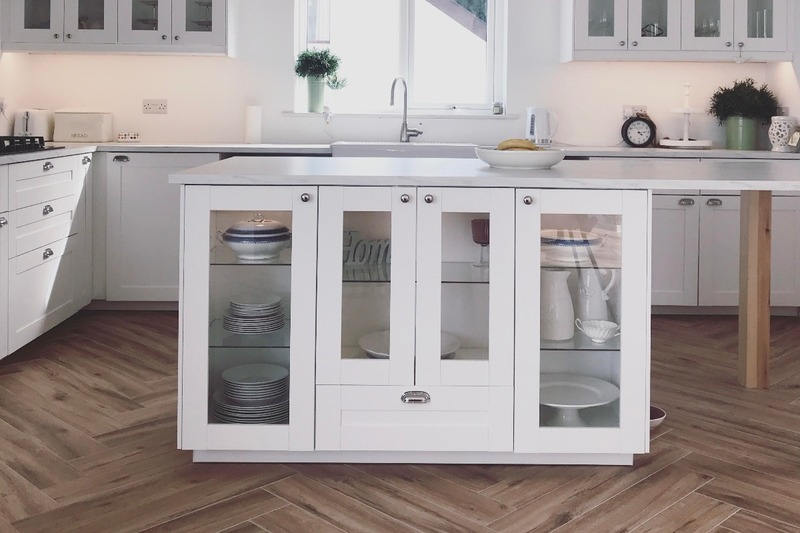 Of course for things to work effectively, you need to be sure that your fixtures and fittings are neutral enough to fit your sophisticated-rustic theme. Something that means staying away from high gloss finishes is the best idea, especially in the kitchen. Lastly, when it comes to creating a rustic yet sophisticated home, you will need to accessorise your space with the right decor. In fact, the current fashion is to use decor as a point of interest again a neutral background accented with natural materials, as described above. What this means in practice is that is crucial you don’t overwhelm your space with brick-a-brack and clutter, but instead choose or make a few items that really bring your whole design together. In particular, consider items that are personalised to your family, as well as rustic and hand-painted signs, dried flower wreaths and arrangements, and even a few choice ceramic ornaments that echo the accent colours you have chosen for your home. Then once you have added this to the other aspects mentioned above, you should have rustic, yet sophisticated living space the whole family can enjoy. Have You Any Rustic Design Tips? Are you a fan of rustic interiors? We’d love to hear any rustic design ideas that you have. Please let us know in the comment section below.